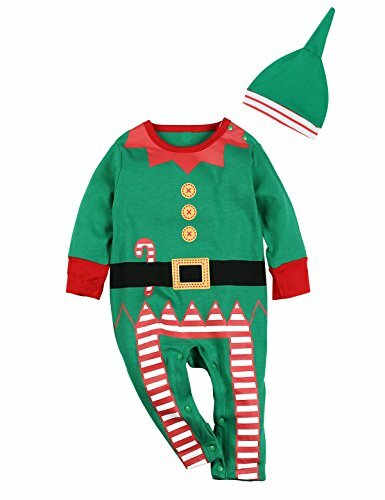 Now your baby boy can become a little elf with this romper. 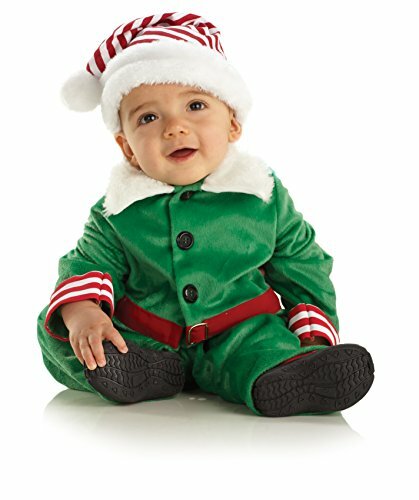 Here's Santa's favorite little helper in this adorable velvet, fur trimmed jacket with stripped cuffs, pants, and matching fur trimmed hat. 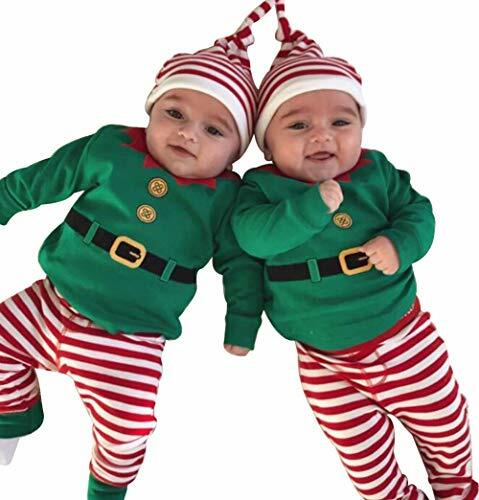 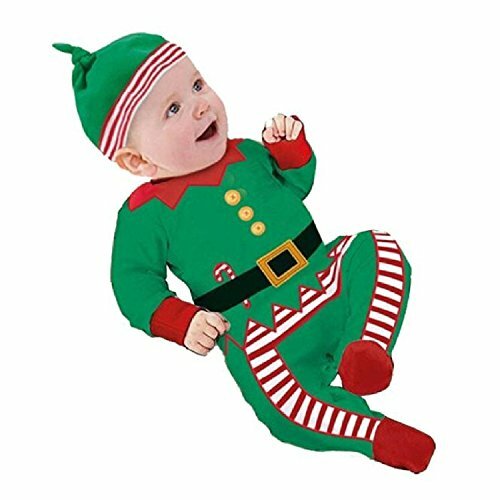 Our baby elf costume includes a striped, green jumpsuit with attached belt, hat and booties. 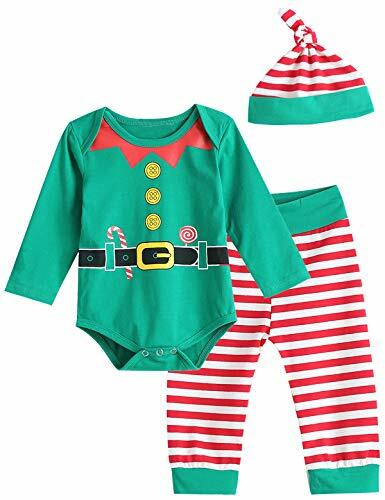 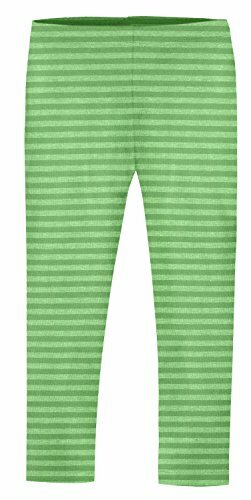 The faux shorts elf suit slips over a candy cane striped jumpsuit for an adorable layered look. 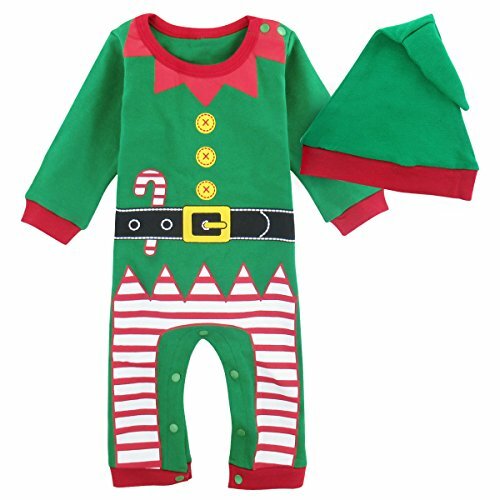 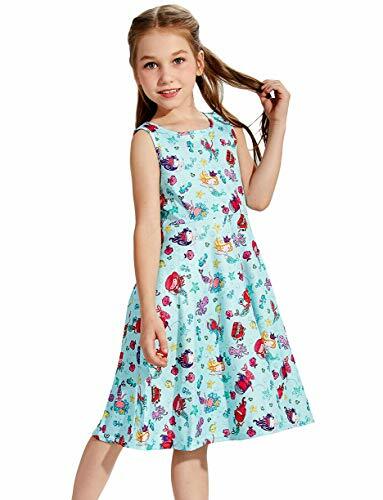 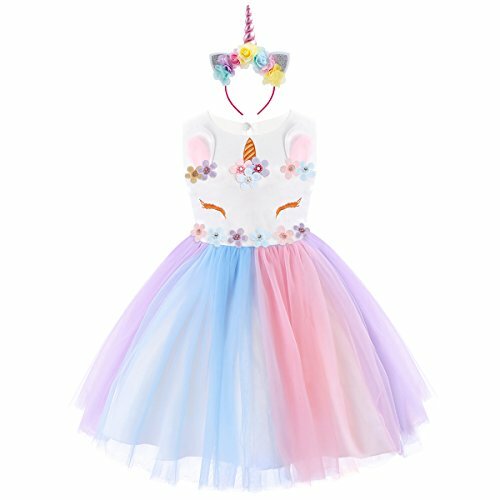 Both jumpsuits are zippered and feature inner leg snaps for quick and easy diaper changes. 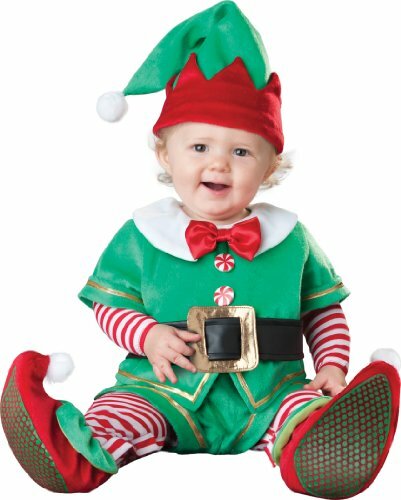 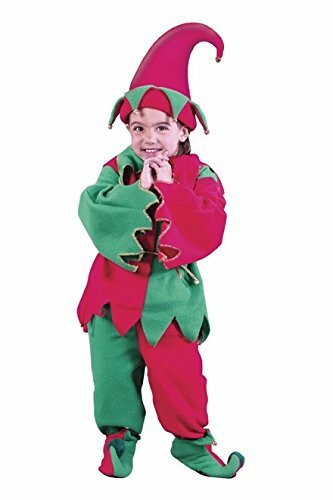 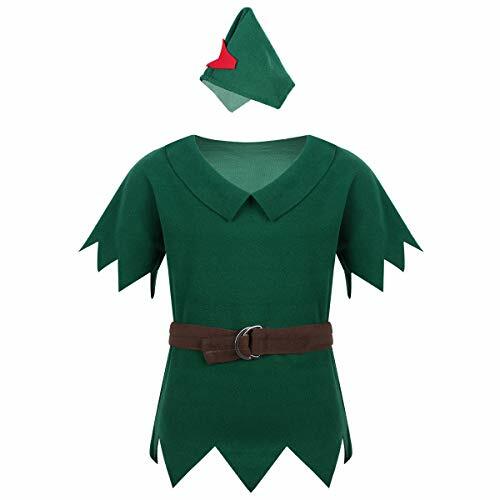 Skid resistant booties on this little elf costume will help your baby feel safe and secure. 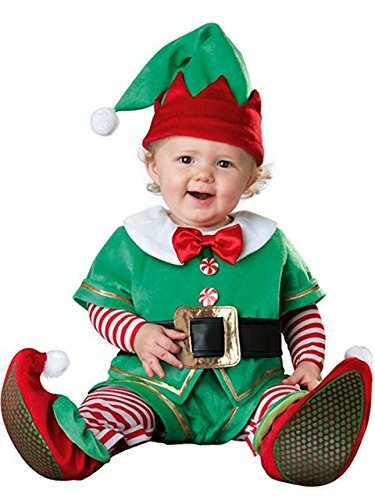 The booties on this baby Christmas elf costume are intended for indoor use only.